Handy accessory for live or studio. Five in a pack. The QR-1 is the perfect tool for expeditious swapping of microphones in the studio or onstage. The bottom half threads onto a 5/8 microphone stand while the top half threads into a 5/8 threaded microphone clip. To disconnect the two, simply pull down on the lower half while lifting up on the top half. 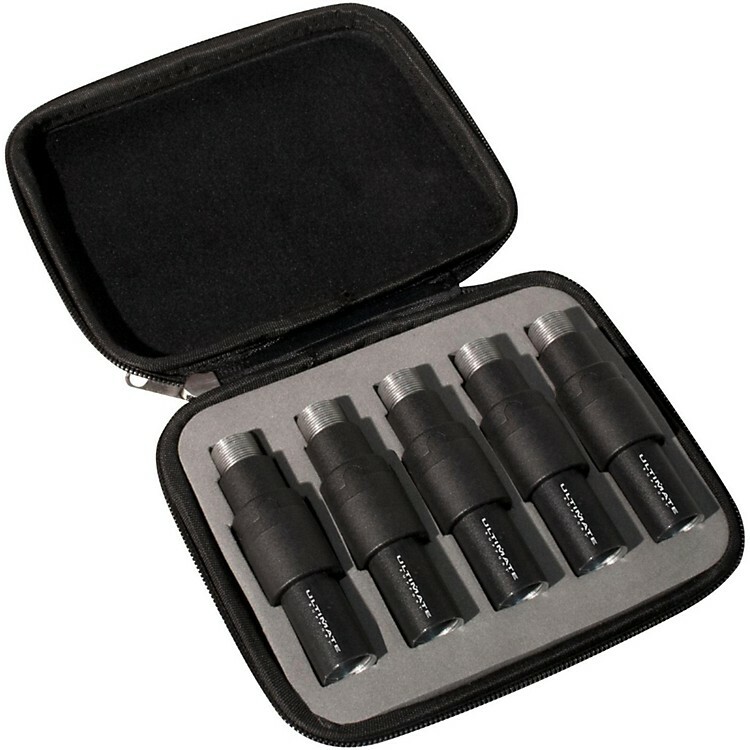 The QR-5 is a five-pack that includes a free carrying case. Order today and make mic changes more quickly and gracefully.